Joan Pilone nee Williams was born in Harrow, England in 1919. She first married an ex-serviceman named Joseph Pilone in London after World War 2, and immigrated to Australia. The marriage was short-lived. She was married a second time, to New Zealand educator Halva Holst, in 1988. Joan Pilone was educated in London. She qualified as a social worker and worked in the City of London. She married after World War 2 and migrated with her husband to Sydney. She worked as a travel advisor and guest services officer with Travelodge Ltd from 1966 to 1975 when she stood for City Council. From 1976 she worked as the Executive Officer with the Art Gallery of NSW. Joan Pilone was Chair of the Healthy Cities Illawarra task force. In May 1977 she resigned from the Council to accept a senior Federal Government appointment. 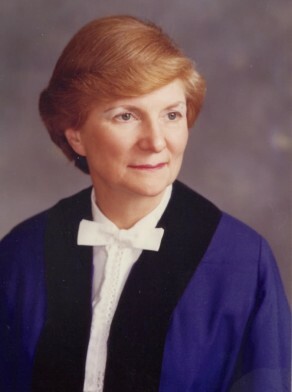 In 1975 Pilone was appointed to the Women’s Advisory Board of NSW. She was also a member of the Council of Technical and Further Education, and the Keep Australia Beautiful Council of NSW. She was devoted to the welfare of her community in Kings Cross and was a crusader for the emancipation of women in public life. Joan Pilone was awarded an MBE in June 1975 for her contribution to Local Government. Joan Pilone was elected as an Alderman of North Sydney in May 1959 and resigned in 1965 when she went to Sydney City Council. She was the first woman to be elected to Sydney Council and served as the Alderman for Fitzroy Ward, 4 December 1965 until 13 November 1967 when Council was replaced by City Commissioners. She was elected again from 1969 until her resignation on 23 May 1977. She was a member and Vice-Chairman of the Community Services Committee, 1969–74, a member of the Works Committee, 1966–67 and 1975–77, the Health and Recreations Committee, 1966–67, the Finance Committee, 1969–74 and the City Development Committee, 1975–77. She was the Council delegate to the NSW Council on the Ageing, 1972, and a member of the Sydney Cove Redevelopment Authority, 1975–77. She was a member of the Civic Reform Association. Pilone actively worked to open up the clerical ranks in the Council’s service, and thus the administrative career path, to women. This was met with some resistance within the organisation although there were small moves in this direction in the 1970s. Pilone’s attempts to open up apprenticeships to women in 1973 were, not unexpectedly, met with even stronger resistance from Council’s senior officers. Pilone reportedly referred to herself as ‘Lavatory Lil’ because opponents objected to her presence on the grounds that there were no toilets for female aldermen. In 1969 a shower recess was provided to the existing toilet accommodation at Town Hall for Alderman Mrs. J. Pilone. In October 1972, a lounge chair, stool and carpet were purchased for the area located off the west colonnade, used by Ald. Mrs. J. Pilone. Her portrait was presented to Council by Women’s Organisations of New South Wales in November 1976.